Forecast-based financing (FbF) aims to bridge disaster risk reduction and disaster response, by using a weather forecast for rapid-onset hazards such as floods, extreme cold or cyclones to trigger action just before a disaster happens. FbF leads to the quick release of funds for “early actions”, activities which should enhance preparedness and early response in the days or hours before the hazardous event. These early actions might include distributing animal care kits, water purification tablets or jerrycans; providing heavy coats and tarpaulins for shelter, etc. In 2017, the Belgian Red Cross and its Centre for Evidence-Based Practice (CEBaP) received funding from the Directorate-General for Development Cooperation and Humanitarian Aid (DGD) of the Belgian government to collaborate with Cruz Vermelha de Moçambique (CVM), German Red Cross (GRC) and the IFRC Red Cross Red Crescent Climate Centre (RCCC) to develop the evidence base for a FbF project in Mozambique for cyclones and floods. This research project is embedded in the ‘Measure what Matters’ track of the FbF Strategy of GRC and RCCC, which requires that early actions are based on existing evidence and ongoing evaluations about what works and what doesn’t. Our aim through this initiative was to put evidence-based decision-making at the heart of every stage of the cycle – so that we continuously build the evidence base for what works. The science of forecasting humanitarian crises to enable early action, of course, is not new. The Famine Early Warning Systems Network (FEWS NET) was set up in the mid-1980s with the goal to prevent foreseeable slow-onset food crises. Finding adequate funding to prevent famines from happening, proofed to be a key challenge. In recent years, there have been other initiatives to link forecasting to early-release funding with the START Network’s Risk Financing model being one example. The research project uses an Evidence-Based Practice methodology and a two-fold approach: (1) identifying and selecting the most effective early actions based on the best available evidence (evidence collection); (2) developing a monitoring and evaluation protocol to further build the evidence base for the selected early actions for FbF when a hazardous event occurs (evidence generation). The project focuses on continuous stakeholder engagement of the target group and experts, the other pillars in Evidence-Based Practice (Figure 1), to ensure the output from the research project will be relevant for practice. What is the effectiveness of different potential early actions to reduce the impact of flooding and cyclones in low-and middle-income countries (LMIC)? Which factors influence the implementation of potential early actions to reduce the impact of flooding and cyclones in LMIC? Alongside this review, data were collected on the impacts of floods and cyclones as well as potential early actions through extensive expert and stakeholder interviews in Mozambique. This identified additional potential early actions to include in the review and the data sources were fully integrated into a Theory of Change (ToC), which is further refined through stakeholder input. FbF is a relatively new concept and the first evaluations are only now being generated, so evidence on the effectiveness of actual early actions is not yet available. We therefore had to search for interventions in disaster risk reduction settings or disaster response settings which would be feasible or could be adapted into an early action, the so-called “potential early actions”. Practitioners with the necessary expertise were invaluable in providing input on the likely feasibility of these actions in the context of the limited time and capacity available in the days before a forecasted hazardous event. In the first phase of the review, we searched for evidence for potential early actions for floods and cyclones in existing systematic reviews. But, given that evidence in the humanitarian sector, though growing, is still limited, it came as no surprise that we found no evidence concerning certain potential early actions for floods and cyclones. 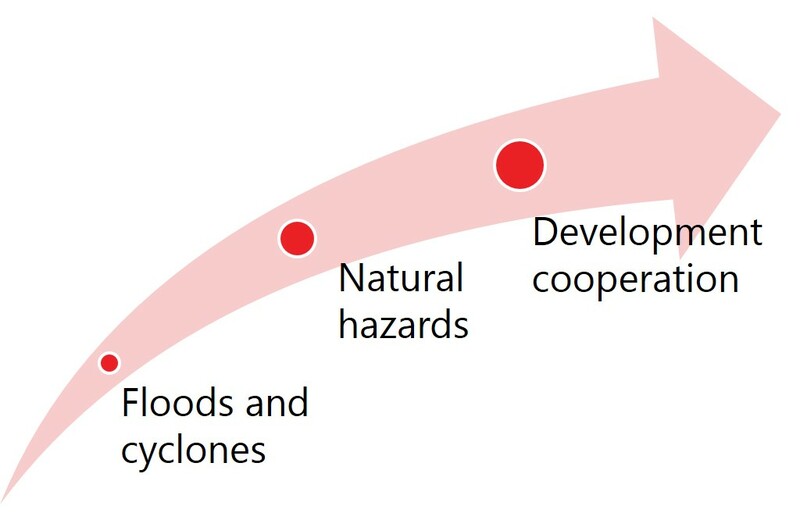 We expanded the setting from cyclones and floods for these actions to all types of natural hazards and even development cooperation research (Figure 2). Table 1 outlines what we found in existing systematic reviews. The second phase of our review is now ongoing in which we are seeking individual studies of potential early actions, for which no evidence was identified in systematic reviews. In July 2018, CVM organized a stakeholder meeting to discuss the initial findings and preliminary ToCs. Stakeholders included CVM practitioners, government officials and experts from humanitarian organisations. Their input helped to refine the ToCs, based on issues raised on implementation barriers for some early actions, such as the need to accompany distributions of malaria nets with repeated training on how to use them. Using an Evidence-Based Practice approach in this research project was and is not straightforward. However, experts and stakeholders provided invaluable input to enhance the collection of current evidence for potential early actions. Despite this research, the current evidence for the selection of effective early actions remains scarce, while donors are interested to scale up the resources made available for FbF projects. This makes it even more important to develop proper monitoring and evaluation frameworks for current FbF projects, to ascertain whether early action protocols are implemented as intended and whether they are effective. It is imperative to develop these protocols well in advance because of the unpredictable and acute character of rapid-onset hazards. We are currently developing such a protocol based on our ToCs for the FbF project in Mozambique. The data collected after activation will then be integrated in the next iteration of the ToCs, ensuring that the evidence base for these early actions is expanded. Anne-Catherine Vanhove obtained a Master and a PhD degree in Bioscience Engineering at KU Leuven, Belgium. She is a researcher at the Centre for Evidence-Based Practice (CEBaP), where she performs systematic reviews and primary research to provide scientific support to the activities of the Belgian Red Cross. As a systematic review expert at Cochrane Belgium, she teaches courses on performing systematic reviews, offers methodological support to review authors, and writes regular “Cochrane Corners”, summaries of Cochrane systematic reviews, in several magazines and journals aimed at healthcare practitioners. Trui Van Ackere obtained her Master degree in International Politics and Sustainable Development at the Universities of Ghent and Padova (Italy). As Disaster Response Officer, she coordinates the development, implementation and reporting of the international humanitarian response projects of the Belgian Red Cross. Additionally, she serves as focal point for the Benelux Relief Emergency Response Unit. Emmy De Buck obtained her Master degree in Bioscience Engineering and a PhD in Medical Sciences at KU Leuven, Belgium. She is currently head of the Centre for Evidence-Based Practice (CEBaP), which provides scientific support to diverse activities of the Belgian Red Cross, where she is responsible for developing evidence-based guidelines (both national and international) and systematic reviews. She is also appointed as Assistant Professor at the Faculty of Medicine of the KU Leuven, where she teaches Evidence-Based Practice and supports medical students in the development of systematic reviews. Philippe Vandekerckhove is the CEO of the Belgian Red Cross-Flanders. Prior to this position Philippe worked as Clinical Director of the University Hospital Leuven where he also obtained his MD, PhD and Pathology degrees at KU Leuven. In addition, Philippe studied healthcare management at INSEAD (France) and general management at Harvard Business School. Philippe is also associate professor at the Faculty of Medicine at KU Leuven. 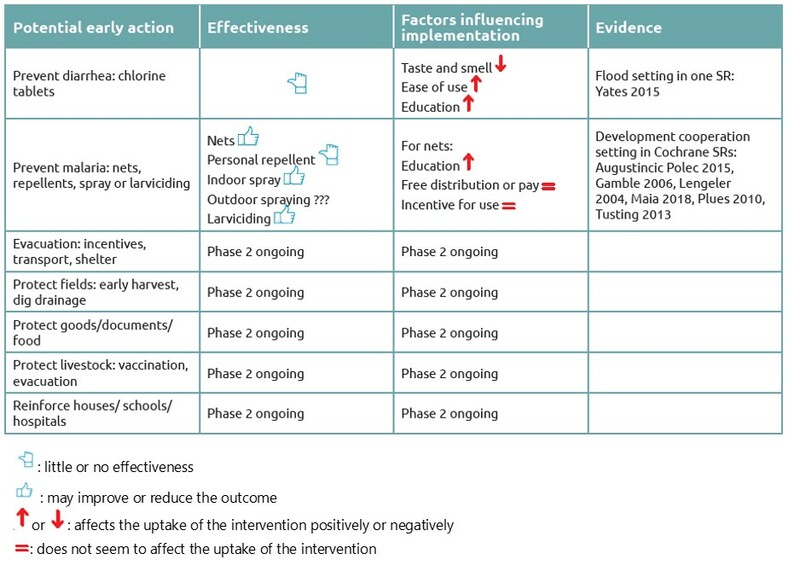 Augustincic Polec L, Petkovic J, Welch V, Ueffing E, Tanjong Ghogomu E, Pardo Pardo J, Grabowsky M, Attaran A, Wells GA, Tugwell P. Strategies to increase the ownership and use of insecticide-treated bednets to prevent malaria. Cochrane Database Syst Rev. 2015 (3):CD009186. Gamble CL, Ekwaru JP, ter Kuile FO. Insecticide-treated nets for preventing malaria in pregnancy. Cochrane Database Syst Rev. 2006 (2):CD003755. Lengeler C. Insecticide-treated bed nets and curtains for preventing malaria. Cochrane Database Syst Rev. 2004 (2):CD000363. Maia MF, Kliner M, Richardson M, Lengeler C, Moore SJ. Mosquito repellents for malaria prevention. Cochrane Database Syst Rev. 2018 (2):CD011595. Pluess B, Tanser FC, Lengeler C, Sharp BL. Indoor residual spraying for preventing malaria. Cochrane Database Syst Rev. 2010 (4):CD006657. Tusting LS, Thwing J, Sinclair D, Fillinger U, Gimnig J, Bonner KE, Bottomley C, Lindsay SW. Mosquito larval source management for controlling malaria. Cochrane Database Syst Rev 2013 (8):CD008923. Yates T, Allen J, Joseph ML, Lantagne, D, 2017. Short-term WASH interventions in emergency response: a systematic review. 3ie Systematic Review 33.